LAMAR, Lucius Quintus Cincinnatus, (uncle of William Bailey Lamar and cousin of Absalom Harris Chappell), a Representative and a Senator from Mississippi; born near Eatonton, Putnam County, Ga., September 17, 1825; attended schools in Baldwin and Newton Counties; graduated from Emory College, Oxford, Ga., in 1845; studied law in Macon; admitted to the bar in 1847; moved to Oxford, Miss., in 1849, where he practiced law and served one year as professor of mathematics in the University of Mississippi at Oxford; moved to Covington, Ga., in 1852 and practiced law; member, Georgia State house of representatives 1853; returned to Mississippi in 1855; elected as a Democrat to the Thirty-fifth and Thirty-sixth Congresses and served from March 4, 1857, until his retirement in December 1860 to become a member of the secession convention of Mississippi; drafted the Mississippi ordinance of secession; during the Civil War served in the Confederate Army as lieutenant colonel until 1862; entered the diplomatic service of the Confederacy in 1862 and was sent on a special mission to Russia, France, and England; member of the State constitutional conventions in 1865, 1868, 1875, 1877, and 1881; professor of metaphysics, social science, and law at the University of Mississippi; elected to the Forty-third and Forty-fourth Congresses (March 4, 1873-March 3, 1877); did not seek renomination in 1876, having been elected Senator; chairman, Committee on Pacific Railroads (Forty-fourth Congress); elected as a Democrat to the United States Senate in 1876; reelected in 1883 and served from March 4, 1877, until March 6, 1885, when he resigned to accept a Cabinet post; chairman, Committee on Interior and Insular Affairs (Forty-sixth Congress), Committee on Railroads (Forty-sixth Congress); Secretary of the Interior in the Cabinet of President Grover Cleveland 1885-1888; appointed by President Cleveland to be Associate Justice of the United States Supreme Court and was confirmed January 16, 1888; served until his death in Vineville, Ga., January 23, 1893; interment in Riverside Cemetery, Macon, Ga.; reinterment in St. Peter's Cemetery, Oxford, Miss., in 1894. Papers: Correspondence in Johnston family papers, 1798-1943. Finding aid. Papers: 1868-1875. Letters to Kate Freeman Clark. Papers: 1854-1918. 240 items and 5 volumes. In part transcripts and photocopies. Correspondence, legal papers, drafts of speeches, photographs and other material, chiefly from 1870s. Includes 4 volumes of letterbooks (1885-1888) from service in the cabinet. Papers: 1 letter (1879) and photographs in Fountaine collection. Papers: Correspondence in Joseph P. Bradley papers, 1836-1937. Papers: 1873, 1880. 2 items. Papers: Correspondence in James Lockhart Autry papers, 1834-1925. Finding aid. Papers: October 23, 1874. 1 letter. To Charles Jones Jenkins concerning the Great Seal of Georgia. Papers: Correspondence in Adelbert Ames family papers, 1856-1969. Papers: 1868-1909. .5 foot. Correspondence with E.D. Clark and newspaper clippings. Finding aid available at http://purl.oclc.org/umarchives/MUM01174. Papers: 1864-1874. 11 letters (9 copies and 2 originals). Papers: Correspondence in Waddie Hudson papers, 1847-1951. Papers: July 21, 1886. 1 letter. From Hadley Johnson withdrawing application for appointment in Cleveland administration. Papers: In Samuel Bowles papers, 1853-1890. Burger, Nash K., and John K. Bettersworth. "Artificer of Reconciliation." In Mississippi Heroes, edited by Dawn Faulkner Wells and Hunter Cole, pp. 107-42. Jackson: University Press of Mississippi, 1980. Cate, Wirt Armistead. Lamar and the Frontier Hypothesis. Baton Rouge: Franklin Press, 1935. ___. Lucius Q. C. Lamar: Secession and Reunion. 1935. Reprint. New York: Russell & Russell, 1969. Hamilton, J.G. de Roulhac. "Lamar of Mississippi." Virginia Quarterly Review 8 (January 1932): 77-89. Kennedy, John Fitzgerald. "Lucius Quintus Cincinnatus Lamar." In Profiles in Courage, pp. 152-77. 1956. Reprint. New York: Harper & Brothers, 1961. Mayes, Edward. 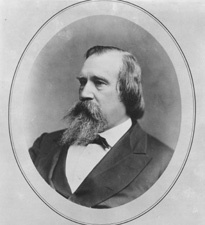 Lucius Q. C. Lamar: His Life, Times, and Speeches, 1825-1893. 1896. Reprint. New York: AMS Press, 1974. Murphy, James B. L.Q.C. Lamar: Pragmatic Patriot. Baton Rouge: Louisiana State University Press, 1973. Reeves, Bennie Leronius. "Lucius Quintus Cincinnatus Lamar: Reluctant Secessionist and Spokesman for the South, 1860-1885." Ph.D. dissertation, University of North Carolina at Chapel Hill, 1973. Stone, James H., ed. "L.Q.C. Lamar's Letters to Edward Donaldson Clark, 1868-1885." Journal of Mississippi History 35 (February 1973): 65-73; 37 (May 1975): 189-201; 43 (May 1981): 135-64.